RMA Group is committed to social and environmental responsibility. Continually seeking to reduce or offset its carbon footprint with a focus on sustainability, green energy and by engaging partners who share this philosophy. In late 2011, during the floods of Bangkok and central Thailand, many people were forced to leave their homes and needed to live in temporary shelters, without proper clothing and access to basic amenities. 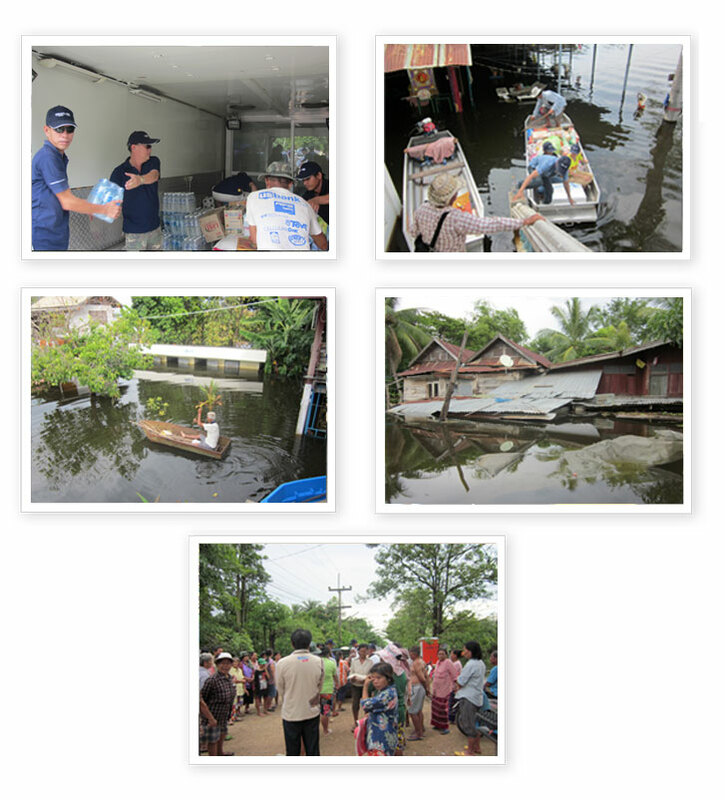 RMA Group responded to the crisis by initiating a charity fund drive, where every baht donated by RMA staff was matched with a direct cash donation from the RMA Group Charity Fund. The fund generated over THB 100,000 in October, 2011 alone. RMA Group is deeply committed to being socially responsible, including minimizing its effect on the environment. It continually challenges itself to reduce or offset its carbon footprint and switch from non-renewable resources to making more efficient use of renewable resources. RMA, thus, is constantly seeking partners who share RMA’s philosophy of being environmentally responsible. For example, JCB, its heavy-equipment supplier, initiated energy-saving measures in 2009 that enabled it to reduce its CO2emissions by 7,800 tons. By 2020, JCB expects to reduce its direct greenhouse gas impact by 35%-40%. Another partner, Ford Motor Company, began using wheat straw-reinforced plastic, rather than 100% traditional petroleum products, to create plastic storage bins. Jaguar Land Rover’s sustainable manufacturing uses fewer resources and creates less waste. Since 2007, Jaguar Land Rover reduced their manufacturing facility CO₂ emissions by more than 30% (per vehicle). New vehicles are designed to be 85% recyclable and 95% recoverable at the end of their life. By 2020, JLR aims to be carbon neutral in their manufacturing operations.